A Roman cavalry sword from Ridley Scott’s Academy Award winning epic Gladiator. 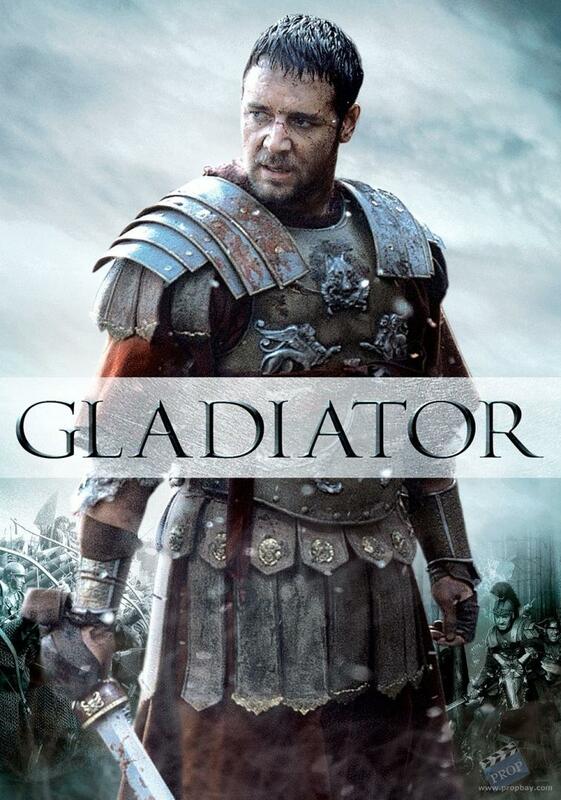 Betrayed by his Emperor’s son Commodus (Joaquin Phoenix) and sold into slavery, Roman general Maximus (Russell Crowe) finds his calling in the arena as a gladiator. But when a festival of games begins in Commodus’ honour, Maximus returns to Rome with thoughts of revenge for his lost Emperor and family. 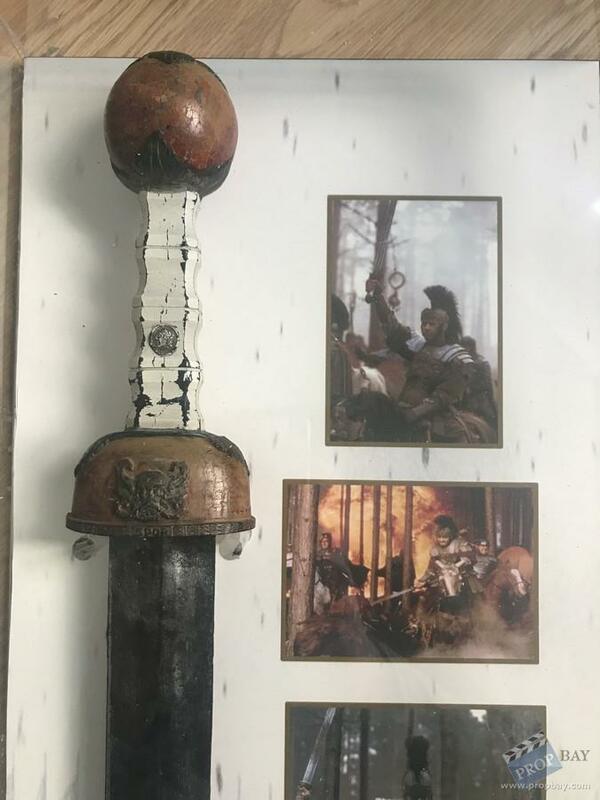 This sword was wielded by General Maximus Decimus Meridius during the opening battle against the barbarian horde in the forests of Germania. Ordering his archers and artillery to “unleash hell” and loose a fiery bombardment on the Celtic tribes, the Roman legion moved forward, unaware that Maximus and his cavalry were rushing in from behind to smash the barbarian line. 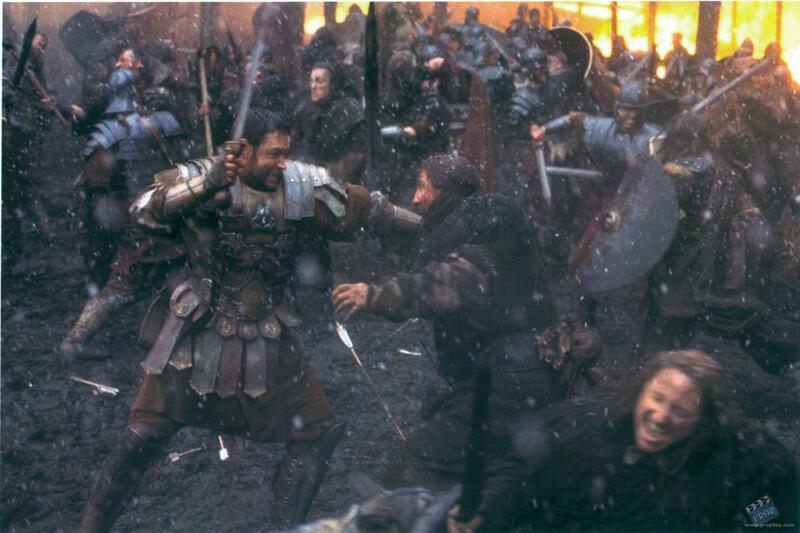 Maximus lost his sword during the battle, planting it into a tree trunk, and recovered it once the fighting was over. The long sword is made of rubber with an intricately detailed guard, pommel and grip. 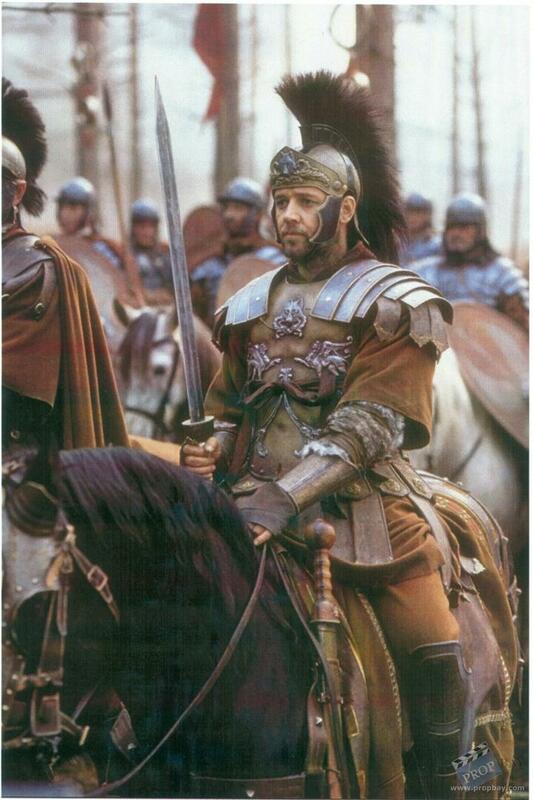 The sword guard has a band with the text “SPQR” moulded into it while both the pommel and guard have floral decoration unique to Maximus’ sword. The blade is finished in worn steel tones with wood effect paint applied to the grip components, accented in white on the grip and in brass paint for the grip’s “metalwork”. 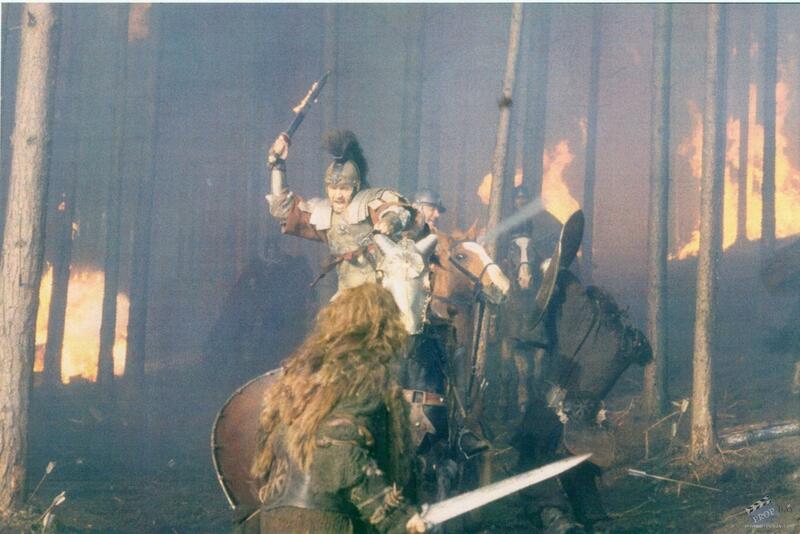 Well used on the production with wear and tarnishing from use on Germania’s inhospitable battlefields and beyond, the sword remains in overall good condition. Added: 07-16-2018 - Viewed: 389 times.